The Blurb for My (John’s) Forthcoming Monograph! This book looks in detail at Paul’s description of apostles in 1 Corinthians 4 and 9 as divinely appointed administrators (oikonomoi) and considers what this tells us about the nature of his own apostolic authority. John Goodrich investigates the origin of this metaphor in light of ancient regal, municipal, and private administration, initially examining the numerous domains in which oikonomoi were appointed in the Graeco-Roman world, before situating the image in the private commercial context of Roman Corinth. 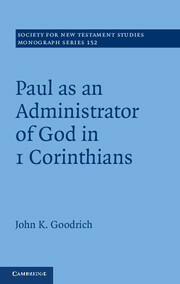 Examining the social and structural connotations attached to private commercial administration, Goodrich contemplates what Paul’s metaphor indicates about apostleship in general terms as well as how he uses the image to defend his apostolic rights. 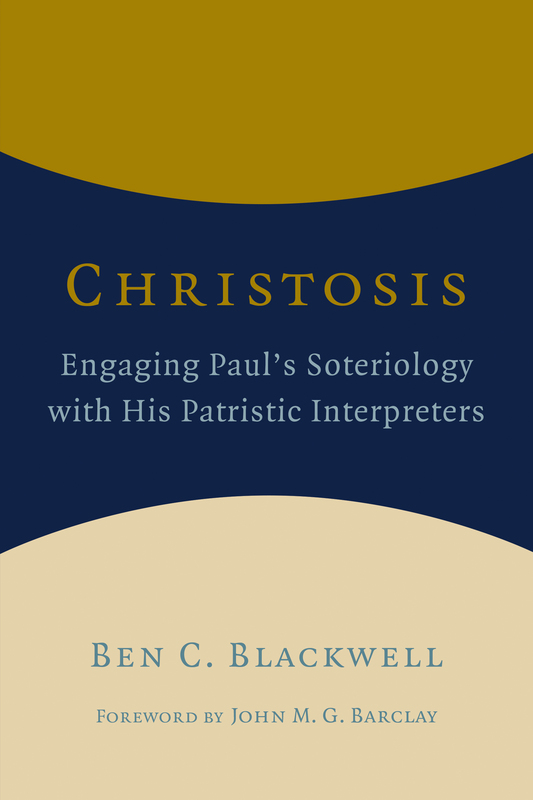 He also analyses the purpose and limits of Paul’s authority – how it is constructed, asserted, and contested – by examining when and how Paul uses and refuses to exercise the rights inherent in his position. The book is a slight revision of my Durham thesis written under John Barclay and, as the blurb indicates, attempts narrowly to engage the debate over Paul’s oikonomos metaphor (1 Cor 4.1-5; 9.16-23), offering (what I believe to be) a corrective to the competing approaches by Dale Martin, John Byron, and others. For those unaware, there is some debate concerning what the metaphor implies and thus how it functions in context: Is it a slavery metaphor? Does it connote honor or shame, and to whom? And what implications does it have regarding Paul’s apostolic authority? A lot of the disagreement, however, has been born as a result of the lack of attention given to the origin and source domain of Paul’s metaphor. That is to say, not enough scholars have asked the basic question, to what kind of administrator was Paul comparing himself? The title oikonomos was used in a variety of social contexts in the Graeco-Roman world, and a number of studies have reached questionable conclusions about the interpretation of Paul’s analogy because they have either advanced evidence without distinguishing between these various contexts (and thus are guilty of parallelomania) or have incorrectly identified the source domain of Paul’s metaphor (so I argue). I myself definitely land closest to Martin’s view, that Paul envisioned apostles as private commercial slaves, an image that would have resonated deeply in “Wealthy Corinth,” though I propose several significant nuances to Martin’s exegesis. More broadly, though, the books offers some insights on Paul’s apostolic authority, generally agreeing with Kathy Ehrensperger that Paul envisioned his authority as having a constructive (“transformative”) purpose, which not only directed but limited the exercise of his rights. 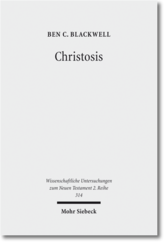 The book is still in the early stages of production and will appear next year (probably in summer or fall) in the Society for New Testament Studies Monograph Series (volume 152). It certainly was a pleasure to write, and John definitely was a wonderful supervisor, but I cannot say emphatically enough how relieved I am to be moving on! I’m sure all you other recent PhDs will concur. I am currently rewriting my module/class Jesus and the Gospels. It is a first year/freshman module that introduces students to the basic critical issues of the Gospels and provides an overview of Jesus’ life and teaching. The class textbook has been Craig L. Blomberg, Jesus and the Gospels: An Introduction and Survey. 2nd ed. Downers Grove: IVP, 2009. I’m thinking about trying something different, and I just wondered what others use. So, any suggestions? I was quickly glancing through the receptions in the hardcopy SBL session guide and saw a number of university receptions listed, but none for Durham. 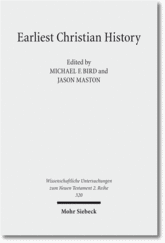 I then emailed John Barclay to inquire about this, and he has assured me there is one scheduled, which was neither printed in the hardcopy guide nor listed (as far as I can tell) on the SBL website; it is, however, included on the AAR website as session M20-436. For those interested in attending Durham’s SBL reception, here are the details: 8:00-10:30pm, November 20th, at the InterContinental Hotel. Do pass the word along. I don’t know the room assignment yet, since John did not specify in his email and that information on the AAR website is restricted to academy members. But I’ve emailed John again to find out and will add that information to this post once I hear back. For those who like cheap books, Christianbook.com (CBD) has a decent academic bargain books page. Now and then I browse through it to see what I could buy if I actually had money to spend. Just this evening I noticed that CBD is now selling quite a few volumes from the Old Testament Library (OTL) and New Testament Library (NTL) series for at least 70% off, even some new commentaries published within the last couple of years (unfortunately, Martin de Boer on Galatians is not quite that discounted!). Many are currently in stock, though some will only become available to ship in mid October, so be aware of that. In my opinion, the volumes in this series are generally good, though rarely great. There are also a handful of classic monographs (re-)published in this series, and those are normally well worth their current CBD price. 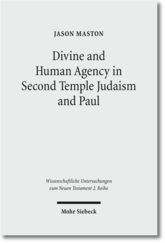 For instance, in my thesis I interacted a lot with John Schütz’s Paul and the Anatomy of Apostolic Authority (originally published in 1975 in SNTSMS, but now available in NTL), which is an excellent study on Paul’s authority concept that has yet to be surpassed. Anyway, if you have some extra book money lying around, do visit the site.